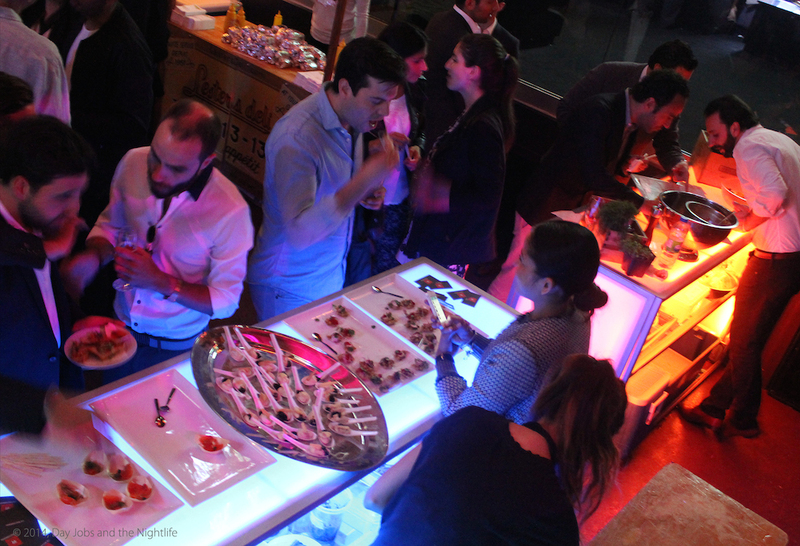 Last Thursday night, Montreal’s social scene gathered at Le Cinq on De la Montagne for ICRF’s (Israel Cancer Research Fund) third Annual Taste for Life fundraiser in support of Cancer research. 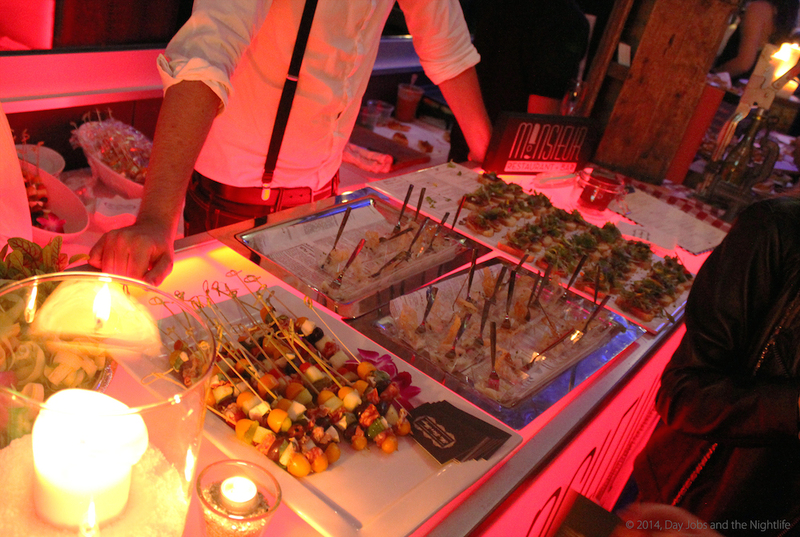 The Montreal hotspot was bursting at the seams with local media, foodies, VIP guests and more getting a taste for what some of Montreal’s best restaurants have to offer. 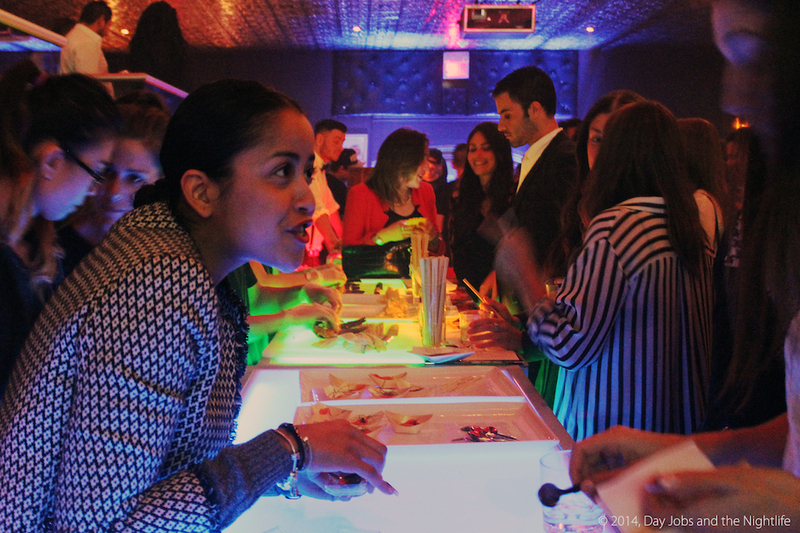 Gathered in two of the main rooms of the sprawling nightclub and bar, guests enjoyed tasting a mini steak dinner from Moishes, wonderfully spicy brisket tacos from Joverse, offerings from Suwu, Le Gros Jambon, Le Richmond, Monsieur and more. As part of the fundraising effort, we participated in a fabulous silent auction featuring tickets to Michel Buble, apparel signed by PK Subban jewelry and more. 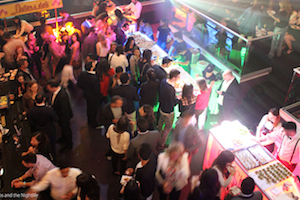 We were treated to the sounds of DJ Adrien Malka and DJ Tiguru during the night. Alana seriously pranked me at her family owned Lester’s Deli counter while grabbing for one of their delicious smoked meat sandwiches. Offering me mustard the prank came when she squirted the bottle at my shirt, shooting a yellow string that made me jump back. I fell for one of the oldest tricks in the book but not without revenge. I paid back the joke when I faked being really mad at her, which was convincing enough to make her feel really bad. It was emotional manipulation at its absolute best. (Don’t worry, we made up in the end, all is well with DJNL and Lesters). Though we were all there to enjoy ourselves, we came together for a good cause and the special honor of the evening when to cancer survivor, Paul Kaylor. Diagnosed with non-seminoma testicular cancer at age 20, Paul had to put his life on hold to receive the proper treatment. With support from his friends, family and the ICRF, Paul is now cancer free and studying to become an oncologist. It was a dazzling night from start to finish with great food, awesome people and a worthy cause. For more information on Taste For Life and the ICRF click here.